Cancel By Owner offers a free Timeshare cancellation consultation to any Timeshare owner that feels they might have cause for a Timeshare cancellation or refund.We have never accepted an application yet where we didn’t negotiate a cancellation or refund of a Timeshare or Vacation Ownership contract. 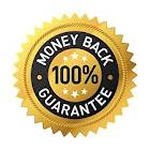 That’s right … 100% success rate AND a money-back guarantee. What are you waiting for? Fill out your free Timeshare cancellation consultation now! This Timeshare cancellation consultation doesn’t make your Timeshare go away but it is the first step toward a Timeshare or Vacation Ownership cancellation or refund. Spend a few minutes filling it out or ask yourself these important questions about your Timeshare transaction to see if you deserve this relief from the staggering burden of Timeshare ownership. Many of our clients were completely unaware that they were victims of Timeshare fraud or misrepresentation. After filling out the above free Timeshare cancellation consultation form, they discovered that they were able to receive a Timeshare cancellation or refund with the help of Cancel By Owner.